Forget Me Knot ring (also available in other sizes here) Ms. Mindless has this ring and it is even cuter in person! 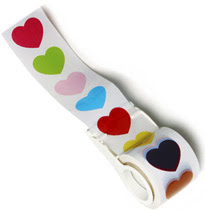 Love Tape Casa Nautical has this and we love it! The forget-me-knot ring would make a fantastic gift - it's so pretty. I adore Fred Flare!! I love the ring!! I have the measuring cups from the $1 section at Target! I love them, but WEG gave me a strange look like he was not going to use them when I brought them home!! Oh Kate you have done it again. I NEED that ring. It is perfect and I dare say nautical as well. Fun finds! 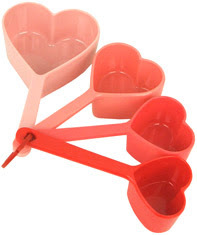 I like the heart-shaped measuring cups. The heart earbuds are SOO cute! those are all too cute! i have been looking for heart measuring cups! 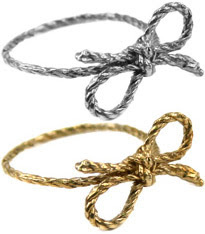 i love the forget me knot rings. they are so cute!!! The forget me knot ring is adorable! If I had the funds right now I'd be buying the ring and those measuring cups this second! 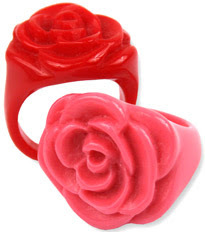 I just love those rings!!!!! i need to tell my hubby! 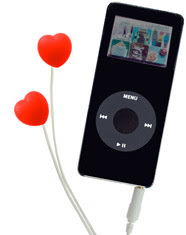 I love the heart earbuds!!! Can we just say that we have been loving those rings for lord knows how long?! Yum. Fred Flare has the CUTEST trinketrs- i heart their store, and i heart your blog! Fred Flare has the most fun stuff. I love the bow rings.